The Firm with its lawyer Giuseppe Muscolo and his partners´ responds to the new challenges in the practice of law today. Professionalism, competence and experience are the Firm´s founding pillars, permitting creation of a modern, versatile, dynamic organisation capable of providing a professional, effective, timely response to clients´ needs. 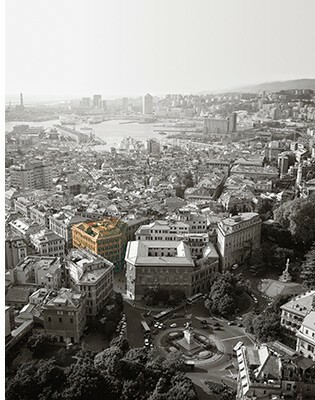 The Firm´s new office is located in Via Roma, right in the centre of Genoa. Efficiency is guaranteed by highly qualified personnel working with the latest technical tools and information technologies to ensure optimal results and a prompt response. The Firm works on both judicial and extra-judicial proceedings.